Extra, extra! Your latest Weekly Marketing Skinny is here! ♨ Google Keyword Planner now even more useless; ♨ thumbs-up updates on Pinterest; ♨ Hangouts On Air is shutting down; ♨ Blab has shut down; ♨ Tsu has shut down; ♨ new video app by Google; ♨ Ana 18,000 feet up in the air; ♨ ...and more. Weekly Marketing Skinnies are… back! Quite a few of you managed to notice I was absent for a couple of months. It’s nice to be missed, I tell ya! I’ve traveled a lot this summer – trips planned and last minute, but all equally enjoyable. Spending time with family is priceless; I am starting to understand it with every fiber of my being… must be getting old! ? I also managed to break my wrist while… GASP!… gardening! Who says I don’t live on the edge! Also, one for the bucket list (told you, I am a daredevil – first gardening, now this! ): this summer I jumped (was pushed?…) out of a plane! As a matter of fact, this was the world’s HIGHEST tandem skydive – 18,000 feet above gorgeous Monterey Bay. Even my broken wrist hasn’t stopped me…. however, common sense should have! So now you know why I haven’t responded to your emails, blog comments, or social media interactions. It’s not because I don’t appreciate you! I am s-l-o-w-l-y catching up. Now… back to business! Grab your cup of coffee and let’s catch up on the marketing news that matter to your business. What tipped the scale was trying to create the video tutorial from the post with Screenflow. I scrapped all that and redid everything in Content Samurai – wrote up the script, took screenshots, recorded – took me about 2.5 hours to the finished product. Certainly made a believer out of me! Using Google Keyword Planner for keyword research? Bad news… Google Keyword Planner is now showing less traffic estimate data to most (?) users. Twitter released two new Notifications settings to combat abuse. Ha! Twitter is rolling out a way for people to slap an ad right on the photos they post to its social network. Which type of Twitter cards does better on Twitter: Photo Card or Summary Card with large image? Pinterest has announced a few changes based on the user feedback they’ve heard. Hangouts On Air will no longer be available on September 12. Start using YouTube Live. Blab has been shut down. For GOOD. Few of us will cry for this one… Spammy social network Tsu shuts down. WordPress 4.6 “Pepper” is here.  To all of you who mentioned Traffic Generation Café in any shape or form in the past FEW week, my whole-hearted THANK YOU. Thank You! My blogging dream has for the most part faded away. Then I received your August skinny and you have yet again provided so much quality relevant information that I cannot let my dream end. I truly believe that if I make the time, put forth the effort and digest the trust worthy information and guidance you provide, there is no reason why I will not succeed. Thank you for not being in it just for the money but truly helping others find success as well. You are unique and I hope you are rewarded with great blessings in health, relationships and your business. I know exactly what you mean, Derek. Believe it or not, being in business for some years doesn’t exempt you from feeling like throwing your hands up in the air – just the nature of… well, our nature and being constantly faced with challenges and having to adapt. My suggestion: decide WHY you are doing it. Is it something you are really passionate about and just want to write to get it out? Would you blog even if few people ever read it? Then who cares – keep on doing it! On the other hand, if you want to turn it into a business and it’s not working… then you need to stop what you are doing and find out what and why is not working. You might have to find someone who does consulting to sit down with you and help you see what you can’t, since you are too close to the project. I wish you all the best – whatever the outcome, and feel free to ask questions! Thanks very much for the mention and the guidance. It is nice to not be alone in this blogging journey. At 18,000 feet, whatever you are screaming about/at is between you and the wind. ? I think as long as the Google Keyword Planner exists in some form, I’ll be okay. I don’t know what I’d do if they got rid of it completely! Why continue using a tool that might actually do you disservice, Dylan? And I must’ve been sleeping under a rock, what happened to the Google+ comment system? I don’t think I could hear myself scream at that altitude… but scream I did – a lot! Turns out you HAVE TO scream to get yourself to actually breathe up there. Screaming forces you to exhale and then inhale. G+ Comments were gone a while ago – it was impossible to moderate them and/or get rid of spam. Native is still the best! Good to see you back at TGC; have a great weekend. Isn’t it interesting that we are noticed more by our absence that by our presence. Indeed, Peter; sad but true! And thank you.